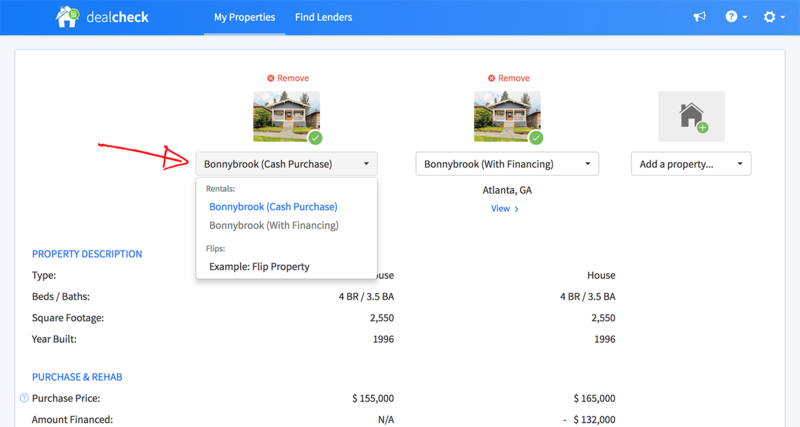 When you're narrowing down the search for your next investment property, it's often helpful to compare two or more properties side-by-side to determine which one will be the better investment. 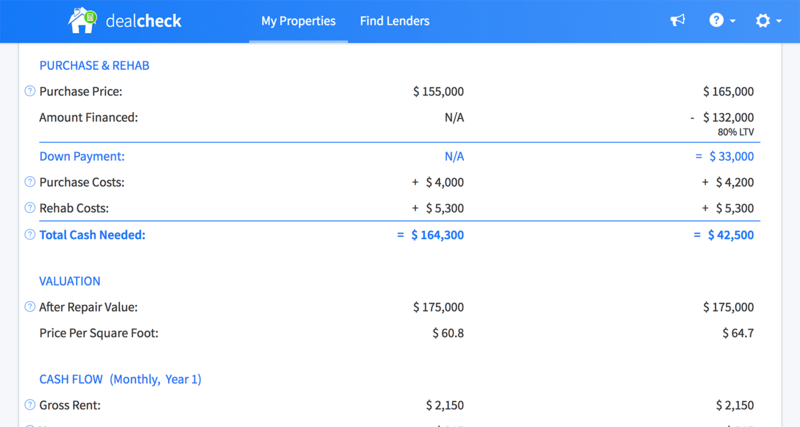 It's also helpful to compare how different acquisition strategies will impact your cash flow, profit and investment returns. 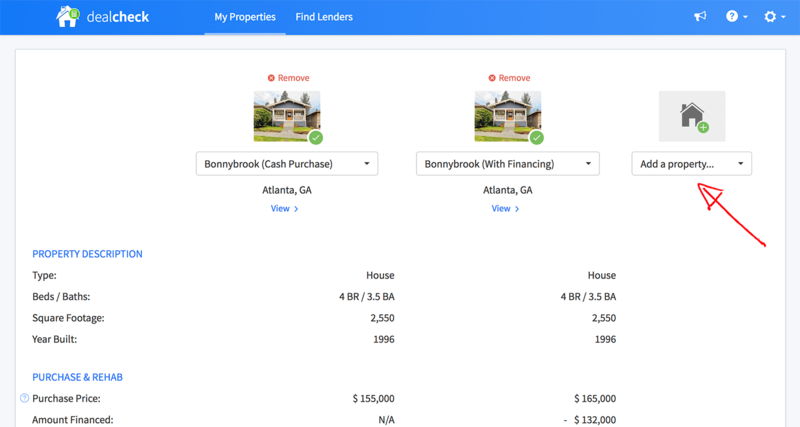 For example, you may get very different returns whether you're buying a property with cash or with financing. 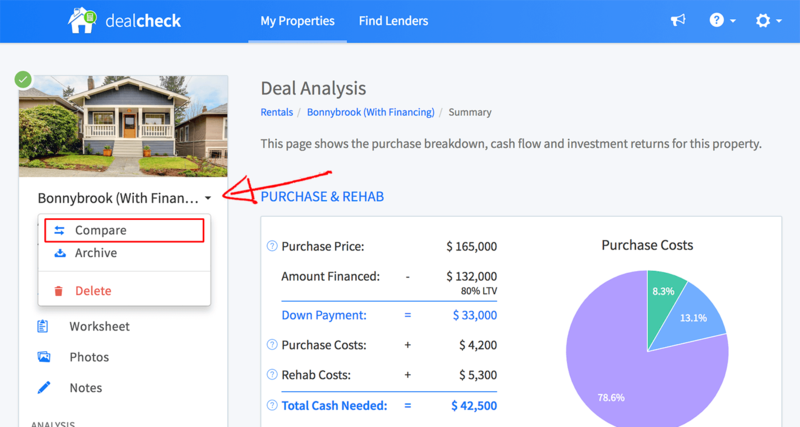 This guide will show you how to use DealCheck's property comparison tool to quickly view all relevant analysis metrics side-by-side for two or more properties. 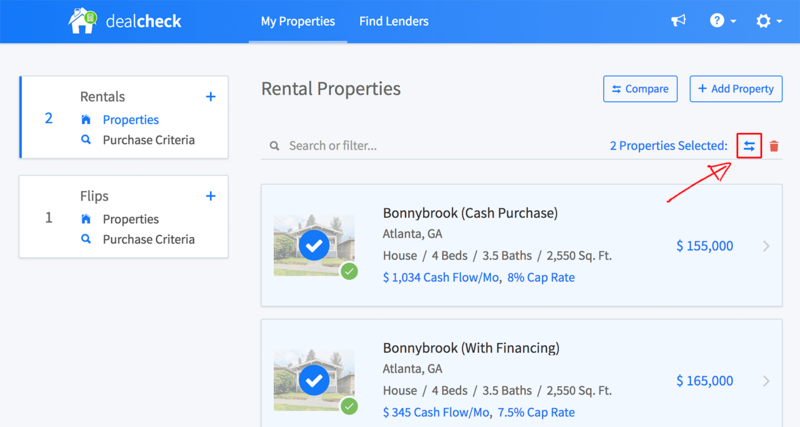 You can select the properties you'd like to compare right from your property list. 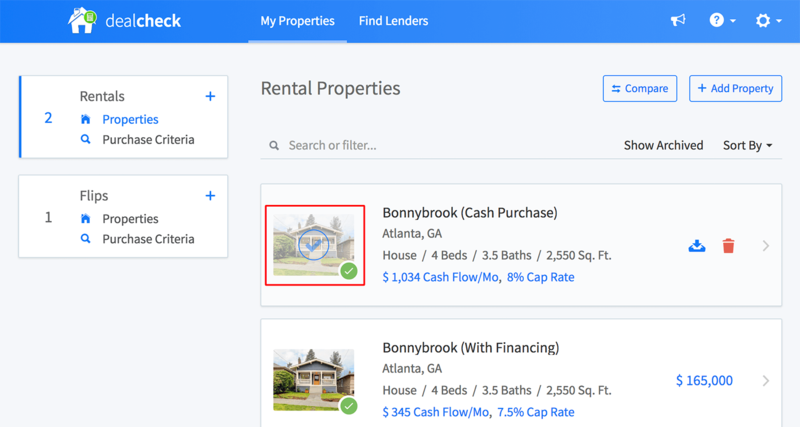 You can also start property comparison from each property's details page.